A list of hilarious DIY hacks to help you survive your open plan office, how borrowing from retail design can help create more powerful, influential brand messaging, and more news. Sprout Social elevates to new heights, literally, as it expands its footprint to give its social media management community more room to grow and stay engaged. What people really want in their public and work spaces, commercial towers across the country are dangling amenities associated with luxury apartment living, and more news from around the web. The impact of younger professionals on how real estate companies approach the workplace, how to move on after the fall of the open office, and more news from around the web. Some helpful tips to help make your morning commute less stressful, an office space designed by employees, and more news from around the web. Steve Johnson of ADI Workplace Acoustics explains how teaching your eyes to hear will improve the quality of experience for the occupants of the beautiful spaces that you create. A new report says that open offices are subtly sexist, the cultural shift in corporate real estate that people aren’t seeing, and more! 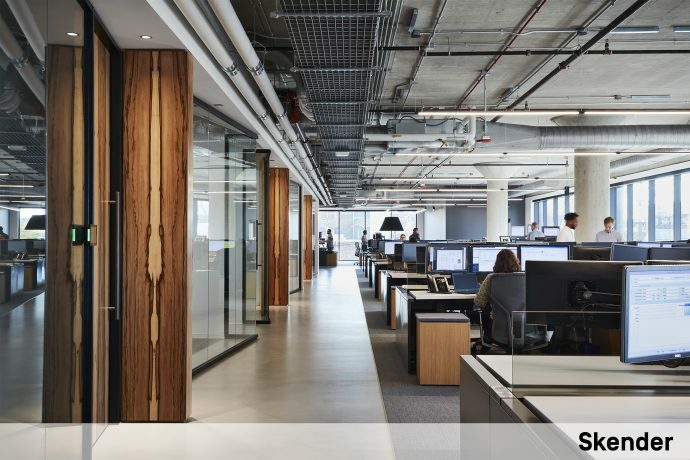 Voices.com was looking for a fresh start in a new space–a space which would accommodate rapid and continued growth in a high-energy environment, while remaining budget friendly and on a very tight timeline. 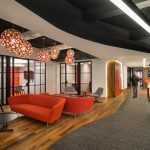 How can open offices start to feel closed off?, why is it so hard to find child care at co-working facilities?, and more.